A car is considered to be one of the biggest assets in a person's portfolio. Therefore, its safety and security should also be carefully considered. To support this thought, manufacturers have introduced transponder keys to provide maximum security. Basically, transponder keys are keys programmed with a unique set of codes. Built with signal-emitting circuits, they work with the help of radio wave frequencies. Its circuit has no battery, but charges itself through the radio signals it receives. The first benefit is the safety and security it provides. Once the chip key is inserted in the ignition lock, it connects immediately to the security system. In terms of signal through radio wave frequency, the smart device sends a message, and then the message is received by the transponder. If the code matches, your car engine will start. If the code is invalid, the car will not start. In short, only the right keys with correct codes will work. Transponder keys cannot be duplicated at any cost. In a nutshell, each transponder key is programmed and designed only for a specific car. Another benefit is an added convenience. The user can also lock and unlock the door just by pressing a single button. For the third benefit, operate the car from a short distance with ease. If you forgot to lock the door and have walked away, the moment you turn around and press the lock button, the car will immediately lock. Lastly, no unauthorized person can open the door or start the engine. The device installed in the car is also equipped with an alarm system, which hoots if any intruder tries to enter the car. If your car is installed with a transponder key, have at least one extra spare to avoid inconvenience in the case of a lost car key. Car manufacturers always provide an extra key by the time you purchase the vehicle. Undoubtedly, keep the extra key safe and secure. However, if both the original and alternate key is lost, you are faced with a dilemma, but don’t panic. Give us a call and we easily replace the transponder key to overcome the situation. 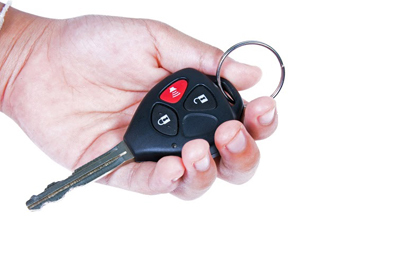 Our Auto Locksmith services provide high quality repair, maintenance, and safe installation of different keys, including transponder or ignition car keys. Our leading technicians are trained to use all the latest and advanced technology for repairing tools at their disposal.